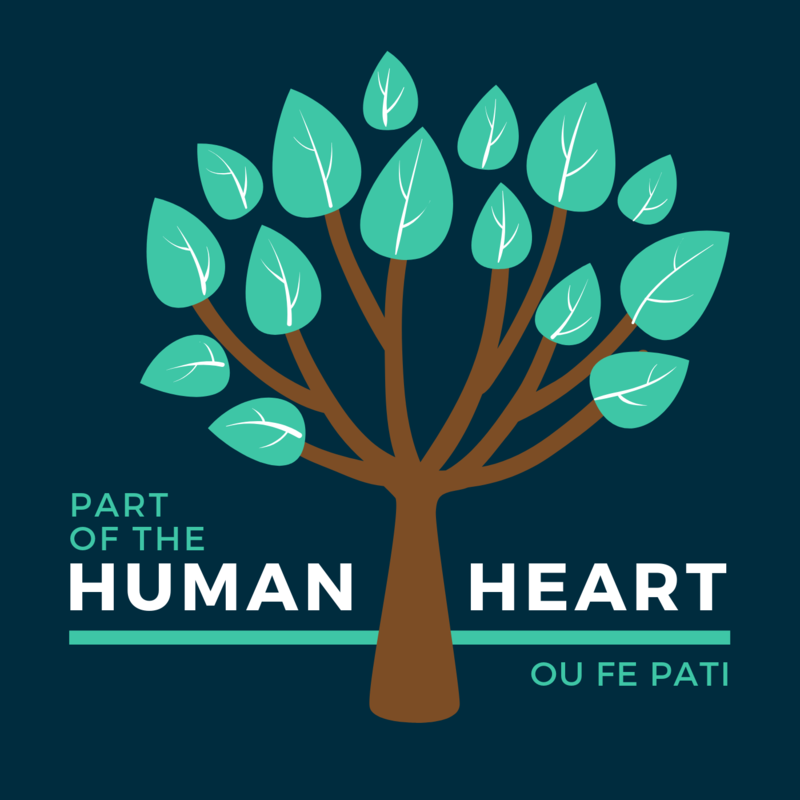 ESRT's JTF service project was inspired by a collaboration with Konbit Haiti in Montrouis, Haiti to work with over 100 students to share story and music and create theatrical pieces together celebrating the children's lives and experiences. 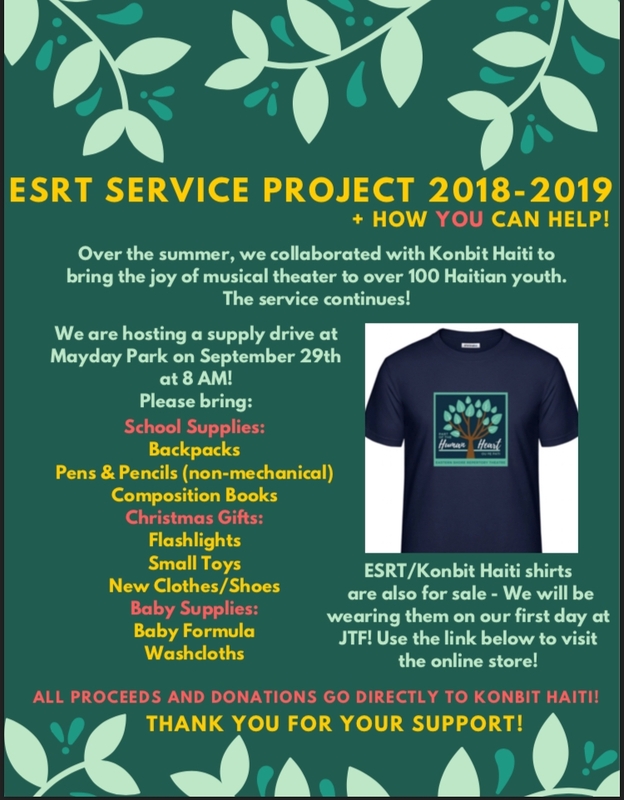 Now, the ESRT JTF competition team and Konbit Haiti mission participants will join forces to raise funding and donate supplies to the children of Montrouis. On September 29, 2019 at 8:00 AM we will host a supply drive. We are asking that JTF students not only donate, but also participate in the organizing of items, etc. Please spread the word to all of your friends to donate supplies. We have also designed and are selling shirts. We will wear these during JTF. All proceeds go to Konbit Haiti. TShirts will be sold through Oct. 31.